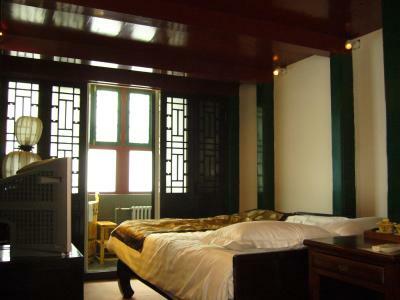 Lock in a great price for Lu Song Yuan Hotel（Nanluoguxiang） – rated 8 by recent guests! 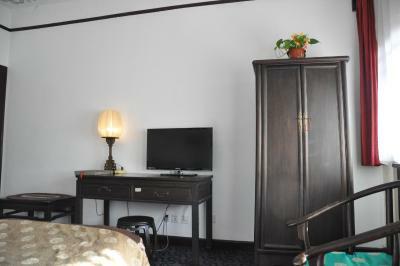 Good location, friendly staff, clean and neat rooms. Very good value for price. The hotel is charming with a really nice courtyard. Breakfast was decent. 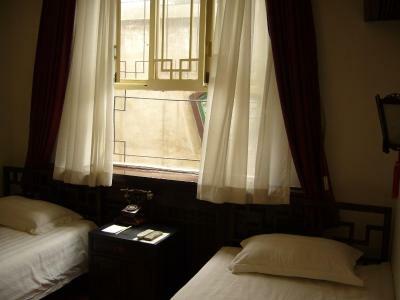 Probably the most comfortable bed that I encountered in my 3 weeks in China. The location is fantastic. 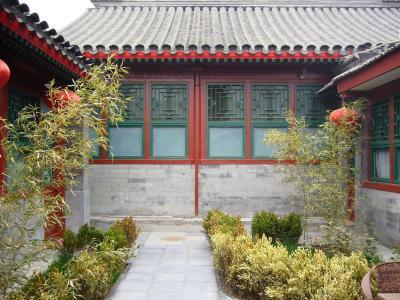 The hotel itself is on a quiet little hutong close to the main Nanluoguxiang street, but far enough down the street to be quite peaceful. 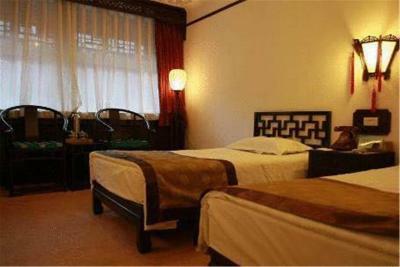 Easy walking distance to hutongs, Back Lake area, Jinchen and Beihai Parks. Close to metro station. 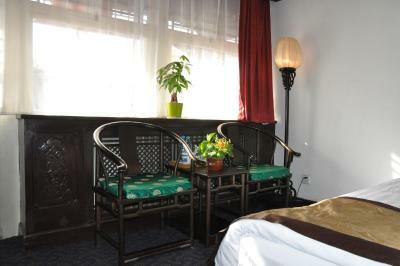 Charming Chinese style hotel in a great location of the old part of town. Garden 18, right next door, is a wonderful restaurant and tea house. Great value for the price of the hotel. The location is SUPERB, 3mins to metro and in the heart of nanluoguxiang. Hotel also serves coffee all day and night, staff speaks decent english (one of the best one in China). Room is okay, with modern western toilet that is clean. They have a nice courtyard to just hang around and I love that it is quiet and away from all the noise. Great location, near subway station 6/8. 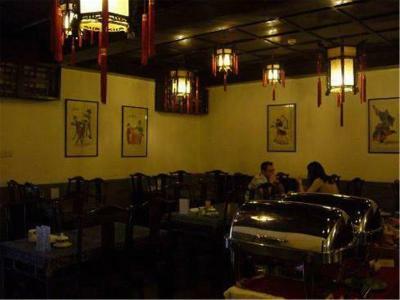 Ancient neighborhood, narrow alleys, shopping alley... deep China :) Variety of options at breakfast, Chinese and Occidental dishes available. Nice inner patios, specific Chinese architecture. English is spoken quite good at reception. First day it was rainy, hotel offered us umbrellas to be able to walk in the city. Overall, a good balance between price and quality of services offered. Airport transfer when we checked out. Driver speaks English quite well. For a 2 star hotel, it is one of the bests. 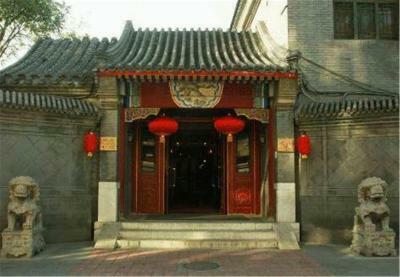 The staff is wonderful and the location is fantastic for a true Chinese experience in a Hutong. It is also very close to the subway. 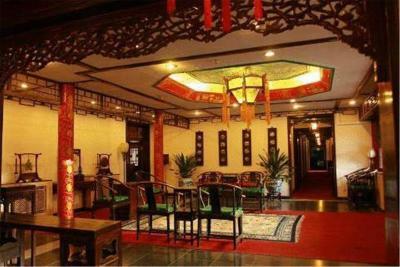 Lu Song Yuan Hotel is located in Beijing, around a 15-minute drive from The Palace Museum. 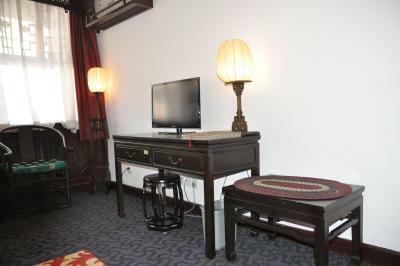 Featuring a strong oriental flavor, it provides rooms with free internet. 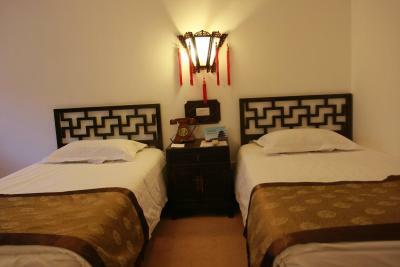 Cozy guestrooms at Lu Song Yuan feature traditional Chinese furnishings. 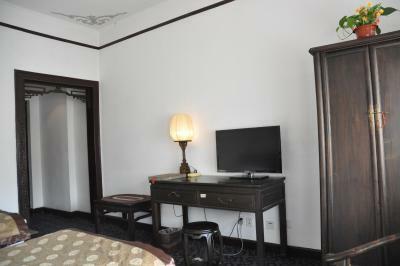 Each room is equipped with satellite TV, a work desk and coffee/tea making facilities. 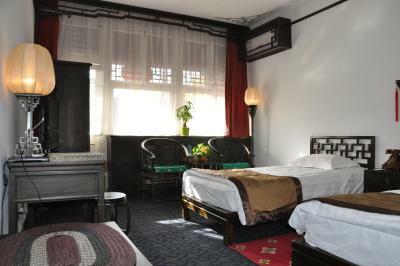 When would you like to stay at Lu Song Yuan Hotel（Nanluoguxiang）? This room has satellite TV, tea/coffee maker and free toiletries. 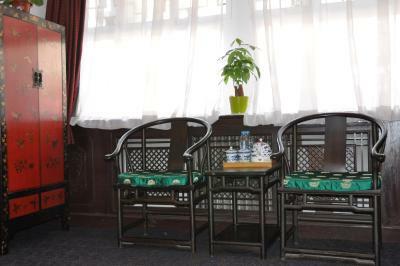 Offering garden views, the room has satellite TV, a tea/coffee maker and free toiletries. This single room has a satellite TV, electric kettle and air conditioning. Offering garden views, room is fitted with carpeted flooring. It comes with a satellite TV, a work desk and an private bathroom with bath or shower facilities. 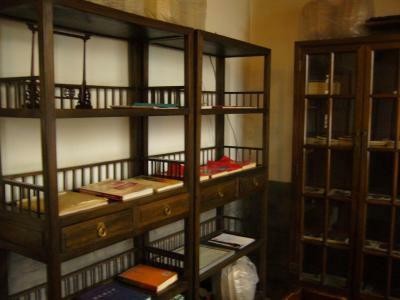 House Rules Lu Song Yuan Hotel（Nanluoguxiang） takes special requests – add in the next step! Greatwall Peony Dragon Jin Lu Song Yuan Hotel（Nanluoguxiang） accepts these cards and reserves the right to temporarily hold an amount prior to arrival. 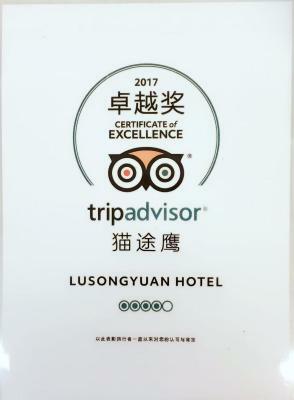 Lu Song Yuan Hotel（Nanluoguxiang） accepts these cards and reserves the right to temporarily hold an amount prior to arrival. Our room was very small and dirty. The floor/carpet had never been cleaned, a lot of dust on the shelves and furniture. The bed was dirty, even though the sheets had been most likely changed we found a lot of strangers hair between the sheets and the mattress. Doors and walls very thin. We could hear everything from the corridor and the bathroom. Would not stay there again. Very good location. 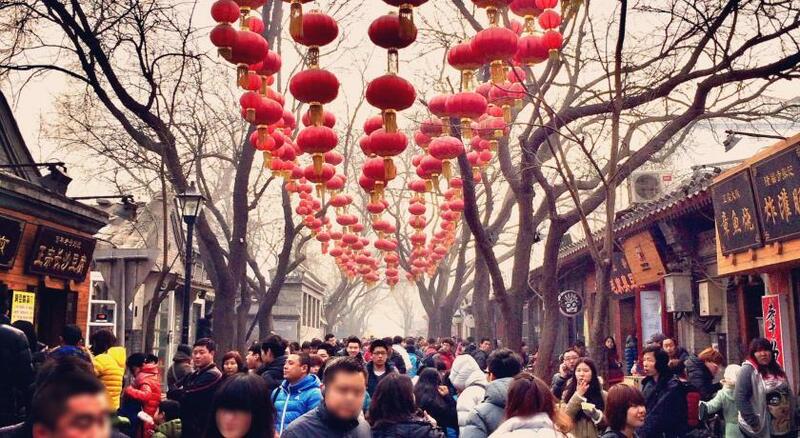 In the Hutong and near a busy shopping street. At the same time the street it self is very quiet. 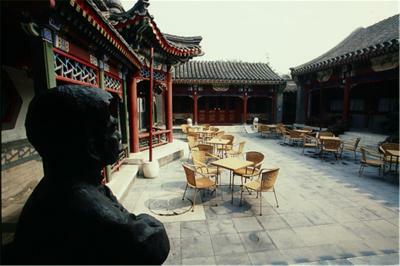 Interior of the hotel is traditional, nice inner courtyard, goes well with the Hutong feeling. One girl in the reception spoke very good English and was very helpful. Other staff members did not speak English at all. Breakfast excellent. Location very central. Place is a cultural and historic treasure. This hotel is exquisite. A peaceful and clean oasis, with wonderful staff. I highly recommend it for the solo or couple travelers. 24hour reception, close proximity to the hutongs (old streets), free coffee all day everyday, great initiative from the cleaning staff. Breakfast ends too early. For people on vacation it would be better for breakfast to continue till 9:30 or 10:00. Also the coffee could be improved upon. A cappuccino machine would be a great investment. Problem with hutongs is that you can't drive car in there which causes some issues with getting to taxi. Breakfast could be better. Great friendly staff. All speak English. They were keen to help me in any way. Location is fab. 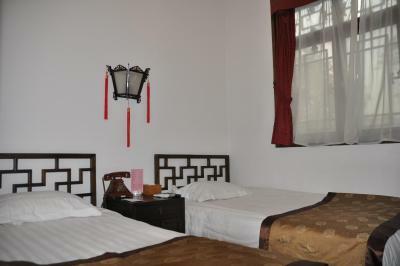 Close to several monuments and historic sites and very close to restaurant and subway. 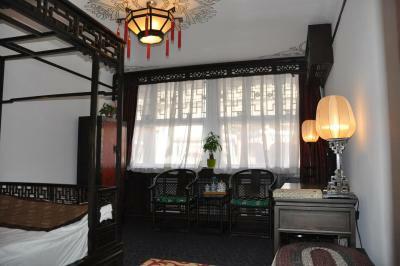 Located in peaceful hutong. It is old and a bit worn at the edges. But I expected that, and ultimately it was less worn than I expected. 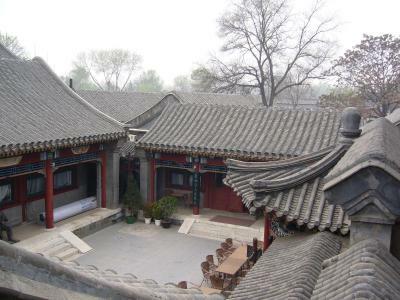 It has the feel of "old China". My Chinese hosts were pleased and amused that I would select such a hotel instead of a modern high-rise. There was a damp smell in the room, but they had an air diffuser which helped a lot. There's a rmb200 deposit for the key, which I believe is not mentioned on Booking. You can put it on card, otherwise if you are leaving China you'll have that cash to spend before you fly. The mug decorating hours are 12 to 7 which is when everyone usually does sightseeing. It'll be great if they push it to the morning. The staff was extremely nice and helpful. They give your a mug that you have to decorate yourself which is quite enjoyable. I quite liked their breakfast, great way to experience what locals eat (hard-boiled eggs, pickles etc). If you are looking for a western breakfast it's not the place. The room was clean and the bed was comfy. 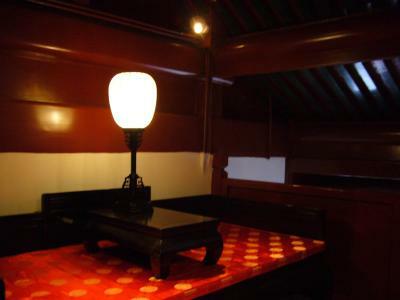 I liked the decor as well: an old-style phone, a traditional bed. The courtyard was very cute. The shopping & restaurants street is just a stone's throw away.